We have lived in our home for almost 11 years. Our oldest child is 8. We have neighbors who are older - with adult children of their own. Older with high school kids. Older with college kids. There is a group of 4 hours where all the families are related and 2 have young children. Our kids have played with them once or twice but we just didn't... click. A new family moved onto our street, about 3 houses down from us, a while back. Maybe a year ago. We haven't seen them out and about much but we smile when we see them. In the past few weeks, Teagan has taken to riding her scooter when she needs to blow off steam. This family has 2 boys and they are always in their driveway with a scooter and a bike. I've asked Teagan if she knows them (she recognizes them from school) and have encouraged her to talk to them. It apparently took some time to build up the nerve. She finally spoke to one of them on Sunday. Challenged him to a scooter race. And the kids have spent hours together since. All of Sunday afternoon. All of Monday afternoon. They play in our driveway, ride scooter, decorate with sidewalk chalk, blow bubbles, ride bikes and scooters. Then they run down to the other house and play in their clubhouse in their backyard. My 2 kids and 2 neighborhood kids, being friends. I love it! Growing up, I had a little group of friends from school that lived in my apartment complex. There was always someone to run around with. There was a hill in between 2 of the buildings and we used to hang out on the hill all the time. We'd play in various building stairwells. We'd roller skate and jump rope and ride bikes. We'd explore the dumpster (*shudder*) and trek to the KMart nearby for candy and soda. Having friends in the neighborhood was really important. A couple of the girls I hung out with were Korean. I loved going to visit their apartment - their grandma lived with them and was always cooking. There were kids with 2 parents. There were kids with a single mom like me. 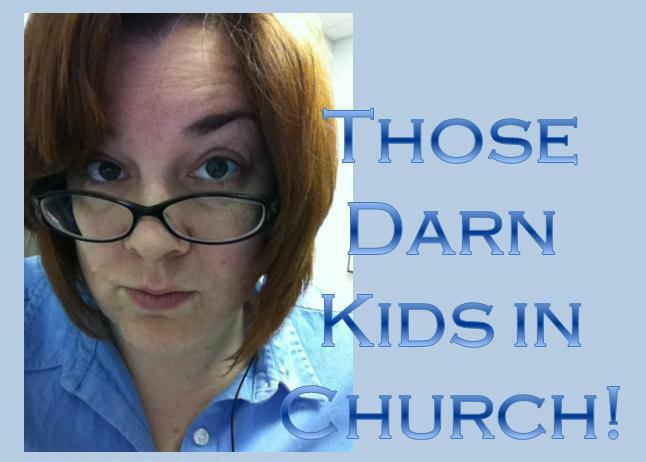 There were childless adults in our building that I came to know in this community, too. We ran amuck. It was the classic stay out until dusk scenario. Today, we are generally too terrified of the awful things that could happen to our kids. I think part of why I fear that less is because the danger I faced was in the home of a relative. I found that my community was a very safe place for me. I played Stable and Teacher in the stairwells when no one was around to play with. I made friends with the single woman who lived next door and took a liking to me. I made cookie bars and sold them out of a shoe box on the front porch - and ended up eating most of them. A friend and I double dog dared each other to take a sip out of a beer bottle we found behind a tree. A nieghbor ran to alert my mom when I fell off a bike. We were a community. A neighborhood. And my kids connecting to these kids... reminds me of that. Listening to them playing together, eavesdropping out the window on their conversations, watching them play and run and race... it reminds me of why it's important to cherish childhood, why friendships teach us so much (as adults and as kids), and why community is such an important part of living. On a recent Sunday morning, I observed a frustrated mom and a very unhappy child. There was loud crying and whining - quite the distraction for those who were attempting to focus on the sermon. We've all been there. And many of us have been on many sides of the equation. Maybe you were that kid who couldn't sit still for anything and was often removed form church as you cried because you knew you were in Trouble. Maybe you've been that parent, with a child who keeps asking questions, can't sit still, and eventually has to be dragged out of church. Maybe you've been in the nearby pew, your listening interrupted by the cries of a child, your spiritual growth momentarily stunted. I've certainly been in all three roles. My mom can tell you stories of my screaming and crying and being removed from the silent sanctuary. I have certainly been the mom having to deal with my kids not listening, not appreciating the snacks and coloring books, and having to be removed. And I've been the person who finds myself annoyed because someone else doesn't seem to be controlling their kids. Some churches are very understanding to this situation and it truly isn't a big deal. Some churches have an air of this being one of the worst sins. I recently read an article - an opinion piece - about this very situation. And it was a refreshing change of perspective. I wish I could link to it but can't seem to find it again. But the basic premise was that if you are sitting in church and you are distracted by a child being a child and a parent being a parent... you need to work on yourself. Because it's really quite selfish and spiritually immature to allow a simple and natural distraction to pull your attention away from God. What if ... When we see a parent having to take a kid out if church... We give them an understanding smile or even a thumbs up? And what if we stopped for 5 seconds to pray - for that child, that parent, that situation? And the same goes in restaurants and grocery stores, too. It's so easy to assume that we know that this other parent isn't parenting the way they should, right? Until we find ourselves in their shoes - in a wide variety of circumstances that lead to less than stellar moments in our parenting. I find that my kids push my buttons in a unique and special way. And I can watch someone else's kid making the same mistakes and see that parent struggling with that child and I can feel their frustration because I have soooo been there. But witnessing someone else dealing with it... I feel empathy. I want to support. But there is this parent code where we don't interfere. I say we need a new code. One where we support and have a secret sign of support. Or not so secret. One where we come to believe that the parents around us aren't looking at us with judgment but with understanding. If it's YOUR kid, stay focused on being the parent your child needs to be. Don't focus on the parent that you think the other people around you think you need to be. And if you need help, find a friend and ask. If it isn't your kid - try to catch mom's eye and give her a supportive and understanding smile. If it's a friend, mouth the words... "Can I help?" If it's a stranger, give a little thumbs up, show some support and understanding. If you find your mind going to that judgemental place, stop yourself. Say a prayer for yourself. For that parent. For that kid. And try to remember your own days as a kid or as a parent. Being a little person is really hard on some days. And parenting those little people is really hard on some days. So if we can do anything to make it even a little easier... I say it's worth it! One of the great things about going to Disney is pulling out my stash of Disney clothes and also finding fun things for the family to wear. Here are some of the things I am very eager to pack for our trip! Matching shirts for Teagan and Zach - pink for her and red for him. Our travel shirts - Mickey ones for Jeff and Zach, Minnie for me and Teagan. We plan to wear these on the day we fly in and the day we fly out (we also plan to do laundry while on our vacation). Shirts for the boys when we hit Star Wars Weekend at Hollywood Studios. And this is one of my favorite shirts. I will pack it in case the hotel room is chilly. I've had it since early college so it is nearly 20 years old. You can see how frayed the neckline and sleeves are. This is one of my big time comfort shirts - great to wear on a chilly evening, if I'm sick and curled up on the couch, and was worn to soak up many tears when my heart's been broken. I'm also quite excited that I am managing to get Jeff to wear t-shirts on our vacation. He is not a t-shirt guy. But we've found some good ones! This one was actually a gift from Christy a few years ago. How about you? Any favorite pieces of Disney clothing? Opening day of the Farmers Market is always a great day! First and foremost - I have to express my disappointment that Sugar 4 didn't return this year. I don't know if I can get through the summer without a jalapeno brownie! And some pics from our visit this morning. It was a quick visit since it was chilly out and I've got this sinus infection leaving me a bit wonky. So we hit some of the major stops and came home. I seriously dream about this breakfast sandwich. The sausage is made from pork from Skillington Farm and they sell these wonderful sandwiches - homemade sausage, fresh egg, homemade bread. So good! The kids kept asking for bites. And we can't come to the market without visiting our favorite honey lady!! The kids were asking for honey straws before we'd even left the house! Wilson Farm Market had all kinds of tasty and tempting treats! Huge stack of kettle corn! Hoosiers love their noodles! And look at the size of those snickerdoodles! These are the kind of candy apples you take home and cut up to eat! One of our weekly stops - amazing eggrolls!! Gallagher Farms is really a large veggie patch in a guy's backyard. And he must be getting larger because he is selling more this year than last year or the year before. And he designed a really cool wagon to sell his stuff out of! One of the new vendors this year is Walking Waffles. I'd never heard of this before. It's soft and chewy and crispy on the outside. The trick is that the dough has pearl sugar in it and on it so the waffle basically has the syrup cooked right into it so you literally just walk around with it and eat it like a super soft cookie. Zach was especially a fan! The market is in a new space this year. Previously, it was in tight quarters by a little train station right along 116th St. However, there is a new and more open area in the back of the municpal area. This is the more permanent home for the market. It's also an area the town uses for community events - like public concerts and family movie nights. The new area is more spread out which will help with crowd control - the old space definitely got a bit crowded. But it also felt less intimate. I also think parking is going to become a big issue. Some days, I just need to be submerged in worship. Immersed in my connection to God. So I sit at my desk. And I listen to Gungor. And City Harmonic. And David Crowder. All praises to the one... who made it all... who find it beautiful. Fearfully and wonderfully and beautifully made. You are the beauty. You are the light. You are the love, love of mine. I immerse myself in music, worship, praise. Cause we've seen.. the glory of... our King... of the mountaintop. We've been to the mountaintop, we've seen the glory of our God. He is here! He's here in the valley low, I feel it in my bones. I remind myself that there is purpose, there is meaning. And that I must wait and discern. Wait and have patience. Wait and listen. I must realize that there are times that silence is truly wisdom. And I listen and very quietly sing (or I sing very loudly in my head and heart). And I pray and talk to God. One of the things I love about my church - even though it once made me very uncomfortable (when I was asked to do this myself) - is that when our pastor takes a Sunday off, we don't bring in an outside pastor to fill in. Instead, our pastor prays and finds people in the congregation with a testimony to share, a sermon in their hearts. I've preached twice and countless others have also taken to the platform to share what God has done in their lives. This past Sunday, a man from the congregation preached. His name is Ryan. First I have to tell you how much I love this guy and his family. I have often told him and his wife, Jennifer, how much I admire their marriage. They have a daughter, Kaitlyn, that I've enjoyed spending time with in Sunday School and in children's choir. Ryan and I have sung together from time to time and I've also spent time with them in a small group setting a couple of years ago. I love this family and was very excited to hear Ryan's message. And God, as usual, did not disappoint. One of the reasons that I really enjoy these guest speakers is that I actually sit and listen to the sermon. No disrespect to my pastor - I love him dearly. But most Sundays, I find myself a bit "itchy" during the sermon and prefer to sit on the floor in the very back so I can move around or step out to get water or whatever. I sing with our Worship Team, I'm in church leadership, I teach music to kids, I often have meetings or commitments at church after service... I'm very involved and find that I am responsible for my spiritual fulfillment. I can't just sit and hear the pastor's sermon each week and be filled up anymore. He gives great sermons - but it's just something of a refresher for me to hear from someone else (and a bonus that we have this wituation where I don't have to visit some other church in order to hear someone else!!). The title of Ryan's sermon was "God Can! But What If He Doesn't?" And there was a point in his sermon that I knew I was getting a message intended for me. I'm pretty open about the struggles we have with parenting. I'm also as proactive and assertive as I can be when the problems reach that boiling point. I recognize that we are very blessed - our children are healthy and basically normal. We are secure in our home and in a great school district. But there are times that I have pangs of envy or regret because motherhood isn't what I imagined it would be. Because the type of mom I want to be is not the type of mom my daughter needs. And the type of mom she needs is not always the type of mom I want to be. Ryan spoke very openly of the struggles he and his wife lived through when dealing with infertility as they hoped to expand their family to 2 children. And there came a point where Ryan was angry - why is this so easy for so many others and we can't be given this gift that we so desperately want? And the answer he came to receive was that the daughter they already had is a miracle - they just hadn't faced the present issues when the pregnancy occured, they didn't realize that the issues were there. She's healthy and she was specifically designed for them. Ryan used the phrase "God showing us that we are the family He designed." It was something of an ah ha moment for me. I've preached on recognizing the miracle that we each are individually - that we are fearfully and wonderfully made, that He designed and created us with awe and reverence and we should see ourselves as His perfect and ideal creations, even in our imperfections. But somehow I didn't take the next step and apply that same logic to my own family. We are the family that God designed. Jeff and I were brought together as part of God's plan for our lives. These 2 kids were given specifically to us - their personalities and needs and experiences are specifically desgined to mesh with us as their parents. We were specifically chosen to be their guardians, their guides. God can. But what if He doesn't? God could have given me the daughter that matched the vision that I had of what my daughter should be like, what motherhood should be like. But He didn't. He gave me the child that needs me. He gave me the child that I need. Yes, she is a challenge at times. But how can I put my vision in front of His perfect plan? There are parents out there with far bigger struggles than what we face. I have many friends who have children with autism, parents who watch their children suffer from diseases and disfigurements, kids with ADHD, kids with anxiety and depression, kids with an absent parent, kids with serious issues. I know of parents who have suffered multiple miscarriages or still births, who have lost babies at birth, have lot their babies to SIDS, have lost their children to unimaginable accidents. I know of parents who have gone out into the world and found the child that God intended for them. God has designed each of these families. And we can look to Him and shake our fists and wonder why these bad or challenging things happen. Or we can stop and look at the blessings, look at the plan He has laid out for us. Recognize His handiwork in our lives, in our families. The main points that Ryan made in his sermon was that we can't possibly begin to think that we know God's plan, that we have to fully trust that God loves us, and that God is running this race alongside us. When I apply that to my family - God has a plan for the individuals in my family and also has a plan for bringing us together as a family, God loves us and wants us to make our best choices, and God will be by our side, supporting us along the way. My family. This group of 4 people, brought together. My chidlren gifted to Jeff and I. And as a family, a God designed family, we have a purpose in God's plan. God has a plan for all of us. And that is the plan I want to live for! Don't you? One of our favorite places to go visit is Ritchey Woods Nature Preserve. Just being outside, in the woods, and walking through the trees and a swamp and along a path and just talking to each other - it's just a great and peaceful way to connect and restore ourselves. We visited Ritchey Wood in early April and were eager to go back on Mother's Day to see how it had changed - and it did not disappoint. The brown was gone and the green was everywhere! We delighted in the flowers and blooms all around us, too! Every year, there is this really awesome event called Vintage Indiana. It's a festival of local wines. It's located at Military Park in downtown Indianapolis. There are hundreds of wines to taste and buy. Wineries from all over the state come to show off their best wines - everything from dry, spicy reds to super sweet dessert wines. Some wineries grow the grapes in Indiana and some produce wine from grapes outside of the state. The awesome thing about the Indiana wine scene that I've noticed is that it is growing and maturing. A decade ago, Indiana wines were very focused on sweet wines. Lots of honey wine and fruit wine but not much complexity. Now, you will truly find a wine for any and every possible taste preference. This year, Vintage Indiana is on June 1. And it's going to be a great day! Great wine, lots to learn and try, and live music! 30 Indiana wineries will offer samples of over 300 wines. This is Indiana’s largest wine festival featuring locally crafted wine! Indiana has 69 wineries. They produce over 1.25 million gallons of wine a year and attract over 2 million visitors. The 70th winery will open sometime in May! Designated Driver tickets are $10 and include unlimited soft drinks and water. No wine glass or wine samples allowed on this ticket. Kids ages 6-20 are $5. Under 5 years old are free. If you want to learn more about the event, there are tons of ways to connect! Follow Vintage Indiana on Twitter. Tweet from the event or leading up with the hashtag #VintageIN. Check out the Vintage Indiana website. Check out the Facebook page, too! And the best part this year? I have 2 tickets to give away!! I'm going to be looking for people to help spread the news and create some buzz for the event (hahaha -buzz for a wine event - get it??). 1 entry for leaving a comment on this blog post. 1 entry for leaving a comment on my Eternal Lizdom page (either a comment on the blog post or writing on my Wall about it). 1 entry if you tweet about Vintage Indiana (make sure you tag @VintageIndiana and @EternalLizdom). 1 entry if you tag Eternal Lizdom on the Vintage Indiana facebook page. 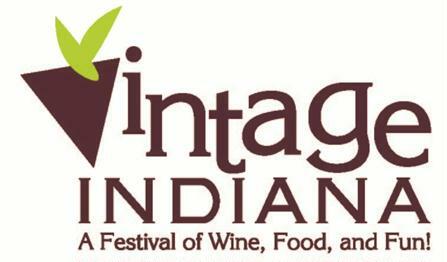 1 entry if you post on your personal Facebook page about Vintage Indiana and encourage your friends to go! Basically - if you show me that you are promoting Vintage Indiana, you get an entry. You just have to show me- feel free to leave comments here on this post for anything you do to promote the event! And make sure you are promoting the event and not this giveaway, please. Winner will be drawn on Tuesday, May 21. I have received admission to Vintage Indiana but no compensation for this post or giveaway. The 2 tickets will be left at Will Call under the winner's name. I've been waiting for the exact right time to introduce my kids to Harry Potter. I'm not the kind of fan that would dress up like a character and I don't know the realm of wizardy the way some people do - as if they actually live there. I have read every book and I did eagerly wait for their release in between books. I devoured them when they came out. I have stood in line for a midnight showing of a Harry Potter movie and I have shared Bertie Bott's Every Flavor Beans with people in line - great fun to hand someone a booger flavored bean! 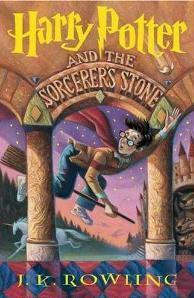 I purchased a copy of Harry Potter and the Sorcerer's Stone a while back and have been waiting for the right time for it to become our family book. And that time is now. It started out pretty slow. We read a chapter one night and then it was about a week before we picked it up again. Then a few nights. Read half a chapter. But then we implemented our new schedule and reading time at bed time became a priority. And missing Harry Potter time is a Big Deal. I'm reading the book to both kids. And Teagan is fully invested. She remembers where we left off in the story, she asks questions about what things mean or why things have happened. She has even asked for reading time in the middle of the day - we sat on the porch and read a chapter on Mother's Day. We're about half way through the book and I'm falling in love with it all over again. It's a different experience to read it 14 years later and also to read it out loud and see parts of it through my children's eyes. I love that Teagan wants to know what Hagrid looks like, what Harry looks like and that we get to talk about the descriptions of them in the book and come up with our own versions instead of my child already knowing the movie version of the characters. I love that Zach sits quietly and listens - even though I know he is getting a different experience than Teagan. I love that Teagan always wants to read more. I love that she picks up the book and rereads chapters we've already read. I also love that reading together as a family has meant that reading has kicked up as a hobby for all of us. Zach loves it when Teagan reads Junie B. Jones books to him. Jeff is almost always reading something. I'm in the middle of Miss Peregrine's Home for Peculiar Children now, too. It's going to be a summer of reading! Teagan came home from school with a Mother's Day gift for me - she'd made a coupon book and filled out a variety of things she wanted to do for me. She gave it to me on Friday evening and said the coupons can be used multiple times but all have to be used this weekend! Foot massages, back massages, making breakfast and dinner, making cookies... and getting a makeover. Disney: Training for 10 Miles Per Day!